provide relevant information about the ever-changing science industries. prepare students to pursue their specific STEM interest. help students develop an inquisitive mind. 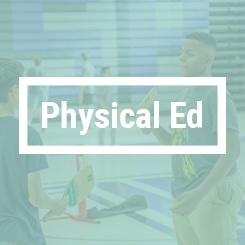 guide students to a better understanding of the physical rules in which God governs his creation. Our science teachers bring energy into the classroom. Classes consist of hands-on activities, labs, and student-led research. Each student will have the chance to ask, “What do I believe?” when it comes to the question of how science fits into God’s plans. With 20 specialized classes, students can choose the track that matches their interests. 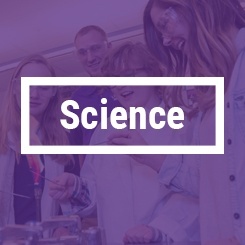 See a breakdown of our science curriculum here. Producing quality communicators that can effectively spread the love of Jesus is the main goal of the English Department. It's vital students learn to write well, ask good questions, and discern opinions for themselves. Communication is the key to successful relationships within families and communities. helping students find the value of literature from diverse sources, worldviews, and time periods. exposing students to a variety of literature. widening students understanding of the human condition and reiterate the need for a Savior. The Bible, mythology, and Shakespeare are the three most widely referenced literature areas. It’s imperative students study and understand them. When students take English classes at LuHi, they will find their teachers care for them academically and personally. 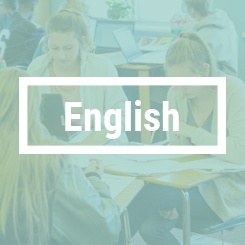 See a breakdown of our English curriculum here. Mathematics is the language of problem-solving. The LuHi Math teachers inspire our students to be critical thinkers and problem-solvers. Every student graduates with the specific skills needed for success in college. Mathematics provides tools for discovering and maintaining truth. We're privileged to share the whole truth: that Christ has solved our most significant problem by his death and resurrection. Develop citizens who identify, address, and solve problems. Grow critical thinkers dedicated to truth in all areas of life. Provide students with the specific math skills required in higher education. Equip students to manage their personal lives with practical math skills. Encourage students to love and serve their neighbors through reasoning and problem-solving. 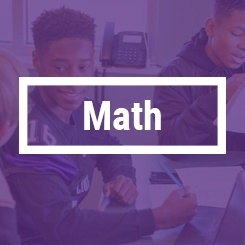 See a breakdown of our math curriculum here. LuHi Social Studies classes challenge students to think critically. Each teacher implements higher order thinking skills - not just memorization of facts. Moving beyond confirmation biases is essential. We encourage students to look at all sides of the story to make the judgment on opinionated matters. help students feel they are an integral part of society. equip students to serve their community. show students how to make educated voting decisions. make students aware of what is going on in other countries. demonstrate how our government works. 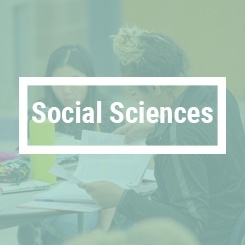 See a breakdown of our social studies department here. Henri Matisse said, “Creativity takes courage.” The mission of the Lutheran High School Art Department is to prepare students to have the confidence, knowledge, and tools it takes to find the courage to be creative. Much is being written today about the need for opportunities for our students to be creative. Art classes are an excellent environment for students to explore new ideas in a safe environment. Courageous expression of new and different ideas is a skill honed in an art classroom. LuHi Art Teachers push students to expand their comfort zone. They understand how to nurture students who respond best to visual learning. Art courses range from Intro to Art to more focused classes using various mediums. This gives students a broad background in the necessary disciplines of traditional art. For those serious about a career in art, The Art Academy is the rigorous final aspect of the curriculum. See a breakdown of our Art curriculum here. The mission of the Lutheran High School Music Department is to give glory to God through performances and rehearsals. The program exists to perform music at a high level and challenge students to improve. Lutheran High School boasts of a Concert Band, BluHi Jazz Band, two Concert Choirs, and an honors Jubilate Choir. Musicians also regularly contribute to our chapel program. 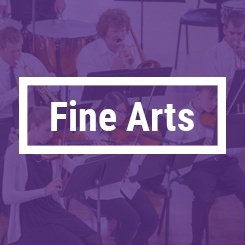 Students in grades 9-12 participate in the music ensembles of LuHi. Music is a gift for students to enjoy and grow. Studies show that studying music decreases at-risk behavior and improves academic achievement. Our teachers have a love of teaching music and performing. They care first about the individual and then about the result. See a breakdown of our music curriculum here. Students at LuHi have a chance to build a personal relationship with Jesus Christ. One way we meet this goal is through four different facets of Biblical study. Freshmen start out learning about the Old Testament and how it points to Christ. Sophomores focus on the New Testament and how Christ's death and resurrection bring together the story of humanity. Junior year consists of Apologetics and World Religions. This means teaching students how to defend and strengthen their faith. Senior year is the culmination of studies with a course on Faith Development and Application. Senior Theology takes everything learned to that point and applies it to the next chapters of life. Students can also choose to take part in Worship class if they want to lead Chapel. Men and Women’s Christian Decision classes contribute to the positive culture at LuHi. These classes help students come up with solutions for issues facing teenagers today. 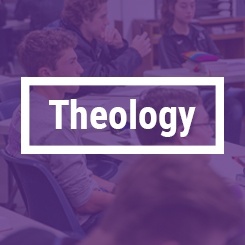 See a breakdown of our theology curriculum here. Research has found that people who know more than one language live longer and have a lower likelihood of geriatric dementia. The Foreign Language Department currently offers five levels of Spanish and three levels of Mandarin. LuHi teachers pass on their love of languages to their students. They spend much time researching ways to improve curriculum. Research also shows that humans being can remember only small percentages of what they read, hear, and see. But, humans can remember 90% of what they "say and do." For this reason, passersby of a Spanish class will see a lot of saying, doing and moving around. Our teachers practice the method called, "Comprehensible Input." It has proven many times to be the best existing method out there. Learn more about what Comprehensible Input is here. Communication is a core value of human relationship. Our teachers strive to empower students to go into the world as capable, bilingual ambassadors for Christ. 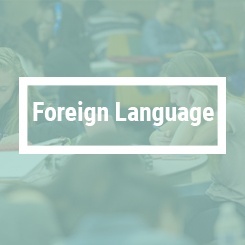 See a breakdown of our foreign language curriculum here. Students need 8 Elective Credits to graduate. Elective courses offer a wide variety of subjects to pique students interest. Sometimes, students will find their future-career passions in an elective class. To see our full list of Elective and other courses, please click here. 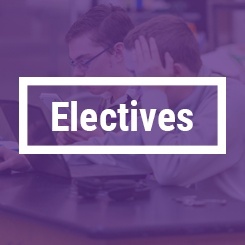 See a breakdown of our elective classes here.